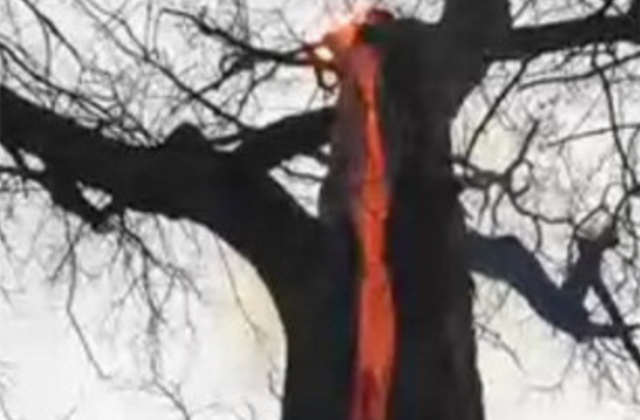 A bizarre tree that appears to be on fire has captured the attention of more than a million people. Hikers walking through Defiance, Ohio, discovered the so-called “devil tree” before capturing it on video. Some speculated the tree was struck by lightning, causing the fire. 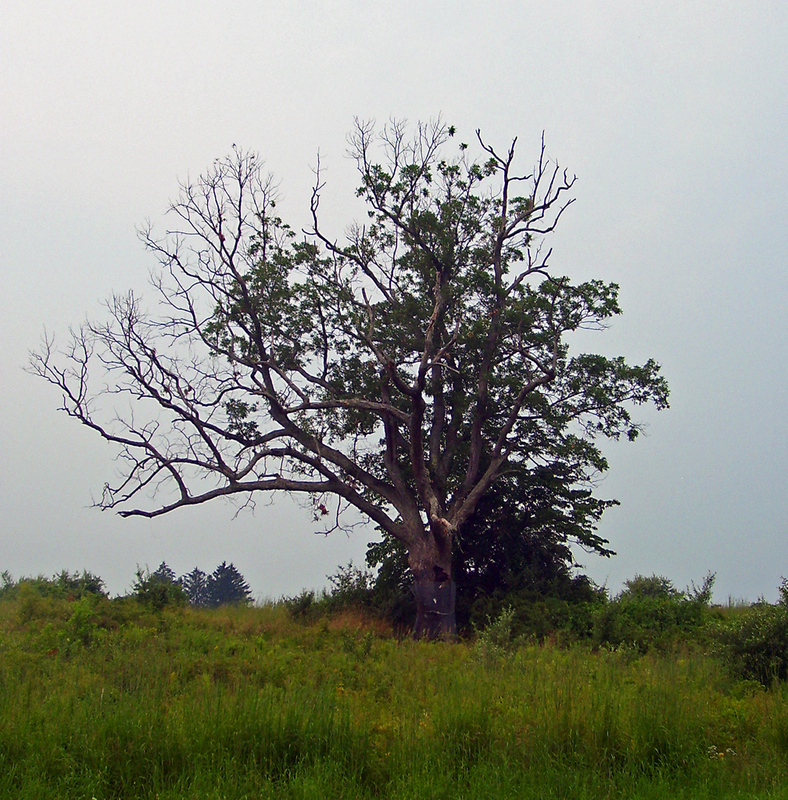 However, that’s not the real “Devil Tree,” which is located in Somerset County, New Jersey. A local legend suggests the tree, an oak, is cursed, and those who damage the tree or “disrespect” it will be harmed in some way–usually in the form of a car accident or breakdown as they leave. Some say the tree was used by the Ku Klux Klan to lynch African Americans and rebellious slaves. Later, a chain-link fence was placed around the tree trunk. According to website WeirdNJ.com, a number of people spoke of alleged phenomena around the tree. “My friends and I went up to the Devil’s Tree one night and got out of the car and touched the it. Afterward we went to Applebee’s to get something to eat and everyone that was sitting at the table suddenly had all of our hands turn black! We don’t know why, but it took us two and a half hours to get the blackness off of our hands!” one woman, named Melissa C., wrote on the website.